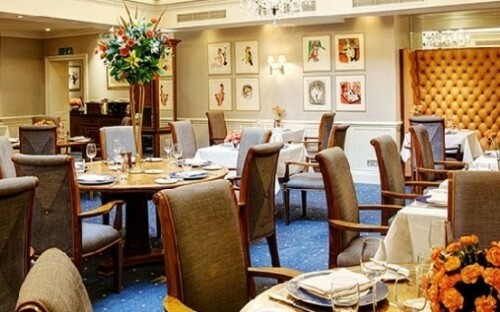 On Friday 15th September we held the annual OR London Lunch, the menu was delicious - asparagus pana cotta, followed by either sea bass or potato cake and finished with mont blanc and caramelised pear - and the venue was perfect. 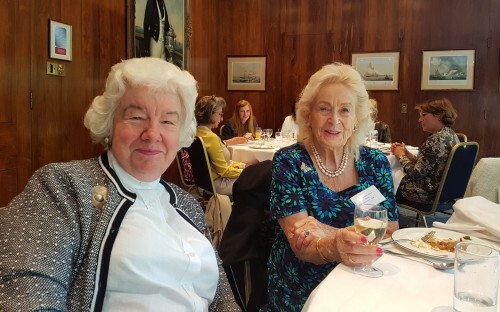 "The OR Late Summer Lunch was held on Friday 15 September at the Royal Thames Yacht Club in Knightsbridge, through the kind suggestion of Jill Edwards (pictured above with Lady Helen Delves-Broughton) who, together with her husband, has been a member for many years. The views across Hyde Park were stunning and the food was delicious. 37 OR’s attended and it was lovely to see so many there having a good time. 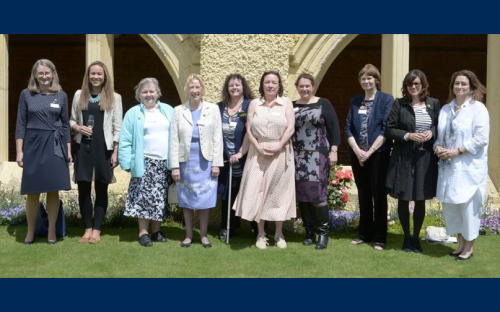 We were delighted to welcome Anne Whitaker, the Chair of Council, who told the group more about Moira House School, Eastbourne, and Deepdene School, Hove, joining the Roedean Group of Schools. Mark Taylor attended from the Alumnae Office, together with Grace Cather and Lesley Morrill. 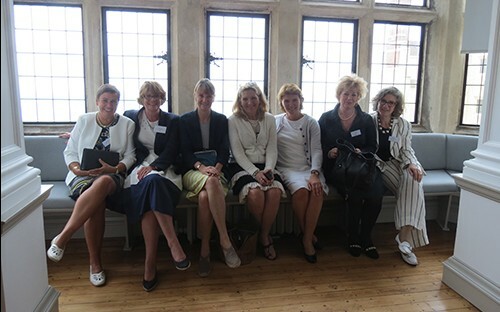 Mark reminded everyone what the Alumnae Office does and how they are always here to help." We hope to see many more of you at next year's lunch.